How Might Indonesia's Agung Volcano Affect Global Climate? 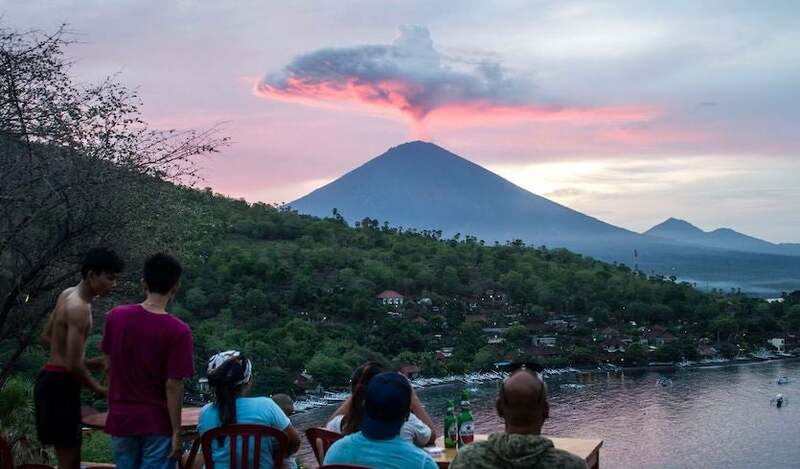 Above: Tourists gather to watch Mount Agung at Amed beach in Karangasem on Indonesia's resort island of Bali on November 30, 2017. Thousands of foreign tourists were expected to leave Bali by plane on November 30 following a nearly three-day airport shutdown sparked by the rumbling volcano on the Indonesian holiday island. Image credit: Juni Kriswanto/AFP/Getty Images. It’s been an unsettling few weeks on the Indonesian island of Bali, where the volcano Mount Agung has been erupting in fits and starts, particularly during late November. Last weekend, more than 100,000 people were asked to evacuate from within 10 kilometers (6 miles) of the volcano. Bali’s main airport, Ngurah Rai International Airport (Denpasar), was closed for three days, reopening on Wednesday local time. 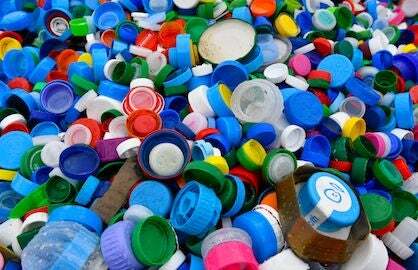 It’s too soon to know if this event will end up affecting global climate in a significant way. However, the bigger question marks are more geological than meteorological. We don’t know if a much larger eruption is in store for Agung over the coming weeks or months—but we do know that major volcanic eruptions can measurably cool the planet for several years, by way of a process that’s fairly well understood. This means it’s possible to make some reasoned speculations on how Agung’s potential behaviors would translate into climate effects. Figure 1. 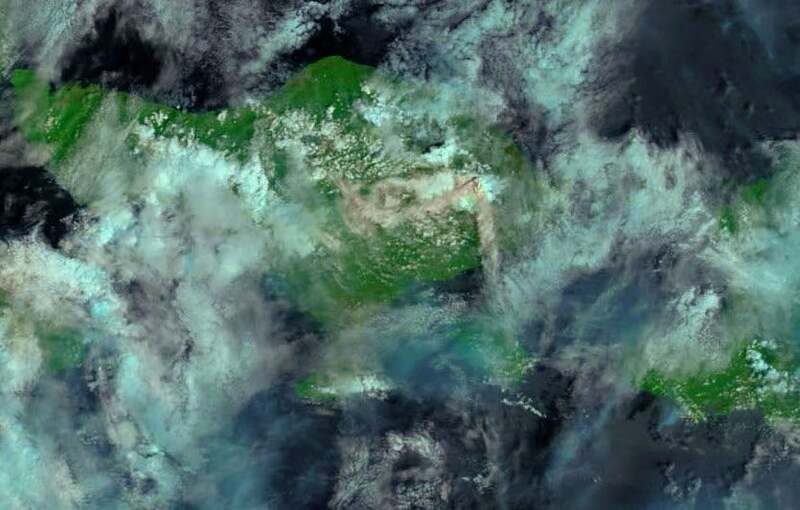 Ash from Mount Agung can be seen streaming across eastern Bali amidst midday clouds in this false-color image, acquired on November 29, 2017, by the Moderate Resolution Imaging Spectroradiometer (MODIS) on NASA’s Terra satellite. The image uses a combination of shortwave infrared light and natural color, making it easier to differentiate between ash, clouds, and forest. The plume appears to rise from two vents in the volcano’s crater. Just as the plume’s sulfur dioxide levels can vary, so too can the amount of steam and ash. A whiter plume indicates the presence of more steam, while a darker plume indicates more ash. Volcanic steam, lava, and ash tend to have local and regional effects, while gas emissions can sometimes have global consequences. Image credit: NASA Earth Observatory. In order to cool the planet, a volcanic eruption needs to push vast amounts of ash and gases—particularly sulfur dioxide—up into the stratosphere, to heights of around 15 - 25 km (9 - 16 mi). If the sulfur dioxide doesn’t make it this high, it tends to be quickly mixed and dispersed through the troposphere, the “weather layer” of the atmosphere. Much of the gas can get scoured out by precipitation within a few days to weeks. Compared to the troposphere, the stratosphere is a more stable, tranquil home for sulfur dioxide. Sunlight and moisture can gradually convert the gas into airborne droplets of sulfuric acid (sulfate aerosols), which are quite good at reflecting and absorbing solar energy before it can reach Earth. Volcanic ash has similar sun-blocking effects, but it tends to settle out of the stratosphere fairly quickly, whereas it can take one to three years for the lighter sulfate aerosols to do the same. For this and other reasons, the amount of sulfur dioxide pumped into the stratosphere is the main factor in an eruption’s climate impact—a finding that emerged from the eruptions of Mount St. Helens in 1980 and El Chichon in 1982, as discussed by geologist Karen Harpp in Scientific American. As a rule, equatorial volcanoes are more effective than high-latitude volcanoes at cooling the planet. That’s because the plume of sulfates from a large eruption near the equator has the potential to spread into both northern and southern hemispheres, and there is little disruption from high-latitude jet streams. Moreover, the shielding effects of the plume are concentrated at lower latitudes, where there’s more solar energy to block. Figure 2. A giant mushroom cloud of steam and ash explodes from Mount Pinatubo, Philippines, on June 12, 1991, as seen from Clark Air Base (a U.S. facility at the time). Image credit: Arlan Naeg/AFP/Getty Images. One reason why it’s disconcerting to see Mt. Agung so restless is because of its latitude: at 8°S, it’s not far from the equator. Another reason is its history. A year-long eruption event that peaked with an explosive blast on March 17, 1963, killed some 1600 people and had a measurable effect on global climate (see below). Bigger still were the planet’s two cataclysmic eruptions of the 19th century, both of which took place on nearby Indonesian islands: Tambora (1815) and Krakatoa (1883). The Tambora eruption cooled global temperatures by as much as 0.5°C for several years and played into widespread regional chaos, including monsoon disruptions and famine in India, crop failures as far afield as northern Europe, and New England’s devastating “year without a summer” (1816). The most recent single eruption to have a major effect on global climate was that of Mt. 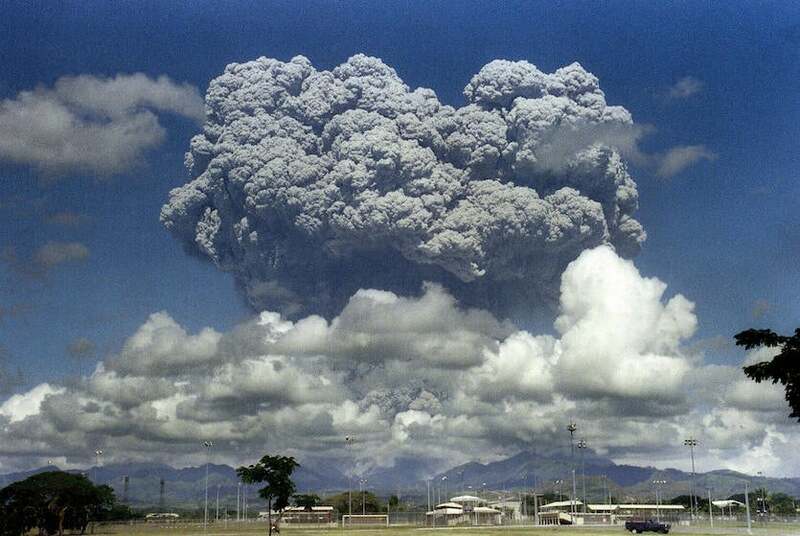 Pinatubo in the Philippines on June 15, 1991. The eruption pumped roughly 17 million tons of sulfur dioxide into the equatorial stratosphere. Global surface temperatures dipped by more than 0.2°C, interrupting the long-term warming trend of the late 20th century for several years. The NOAA/NASA Suomi/NPP satellite, which measures sulfur dioxide on a daily basis, has been keeping tabs on emissions from Agung. In a Twitter exchange, volcanologist Simon Carn (Michigan Technological University) told me that Suomi/NPP measurements on each of the four days from Nov. 26 to 29 resulted in a cumulative airborne total of around 40,000 tons of sulfur dioxide (SO2) in the vicinity of Agung, or less than 0.2% of the output from Pinatubo. If anything, this is a high-end estimate, since there could be some carry-over of sulfur dioxide from one day to the next. “We measured very little SO2 on Nov. 30, so most of it has already dispersed,” said Carn. A new observing tool has come on the scene just in time to watch Agung. On Friday, the European Space Agency released the first high-resolution SO2 imagery from its Sentinel-5P satellite, launched in October (see embedded tweet below). Analysis shows that the cooling effects of Agung, El Chicon, and Pinatubo on global climate were partially masked by El Niño–related warming. Similarly, La Niña could accentuate any cooling produced by a major eruption. As it happens, La Niña events often last two to three years, which is similar to the lifespan of sulfate aerosols in the stratosphere. Climate models do a much better job simulating volcanic impacts when they incorporate ENSO, as shown in a 2016 Geophysical Research Letters paper led by Flavio Lehner (National Center for Atmospheric Research). Recently, Lehner and NCAR colleague John Fasullo used a large sequence of runs from the Community Earth System Model to explore how a major eruption in 2017-18 might be modulated by ENSO. They found that the subsequent global cooling might be less than 0.1°C if El Niño is occurring, or close to 0.3°C if a La Niña is in place (the more likely scenario at this point). In both cases, they found, global temperature would resume warming within about two years and would be at pre-eruption levels by the early 2020s. Figure 3. A total of 120 simulations of temperature trends following volcanic eruptions—40 simulations each of Agung (1963), El Chichon (1982), and Pinatubo (1991)—are classified at left based on their occurrence during El Niño (red) or La Niña (blue). The volcanoes’ coolings impacts are dampened during El Niño and exacerbated by La Niña. At right is the potential cooling that might be produced if Agung erupted in a fashion similar to its 1963 eruption, again with El Niño simulations in red and La Niña simulations in blue. Image credit: Flavio Lehner and John Fasullo, NCAR. Observations are from the Berkeley Earth Surface Temperature (BEST) dataset. Research this decade has shown that even smaller volcanic eruptions can produce measurable effects on the global atmosphere. A persistent infusion of aerosols into the stratosphere is a potential cofactor in the apparent slowdown of tropospheric warming that ran from the late 1990s into the early 2010s. (Other cofactors have been implicated as well, including a dearth of Arctic data in global surface analyses.) In a 2011 Geophysical Research Letters paper, Jean-Paul Vernier (SSAI/NASA Langley) and colleagues linked the persistent aerosols to a series of moderate tropical eruptions. “Satellite instruments provide evidence that smaller volcanic eruptions can play a more important role in affecting the background stratospheric aerosol burden than has often been thought,” wrote Susan Solomon (then at NOAA) and coauthors in a 2011 Science paper. Some aerosol contribution from coal burning and other sources related to human activity can’t be ruled out, they noted. A U.S.-French satellite called CALIPSO (Cloud-Aerosol Lidar and Infrared Pathfinder Satellite Observations) has been especially useful in keeping close track of stratospheric aerosols since its launch in 2006. Several eruptions from the last few years stand out clearly in CALIPSO data (see Figure 4). Figure 4. Data from the CALIPSO satellite showing the scattering ratio, an index of the concentration of aerosols (airborne particles and droplets), between the altitudes of 15 and 21 km (9 - 13 mi) for the period from 2006 to 2016. Latitude varies from 50°N (top) to 50°S (bottom). Over this period, eight volcanic eruptions pumped significant amounts of aerosols into the upper troposphere and lower stratosphere at various latitudes. Each volcano is identified by the listing at right and the labels at left. Image credit: Courtesy Jean-Paul Vernier, SSAI/NASA Langley. Despite the fact that global temperatures have risen sharply since 2013, it’s not out of the question that volcanic aerosols have kept the atmosphere from warming even more quickly than it otherwise would have. "Moderate volcanic eruptions have perturbed the upper troposphere/lower stratosphere since 2013 at levels which can potentially produce climate signatures,” said Vernier in an email. It would take additional research to clarify the extent of any post-2013 effects, he added. Volcano vs. hurricane: which one would win? 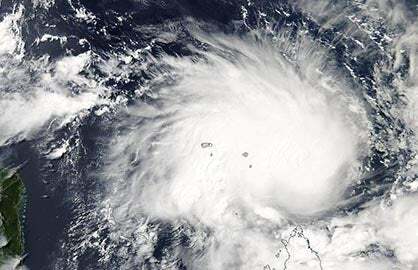 This year’s onslaught of Atlantic hurricanes prompted speculation as to what might happen if a Category 5 in the Caribbean happened to coincide with a major volcanic eruption. 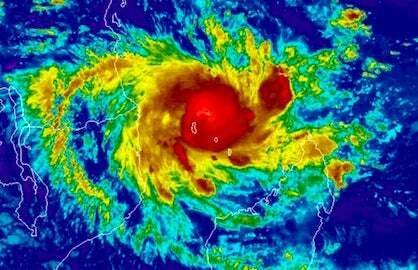 If aerosols are the right size and composition, they can feed the thunderstorms that spiral into hurricanes. 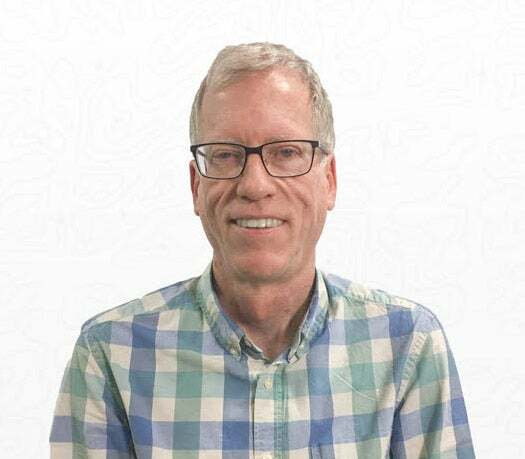 Recent work has shown that this effect could come at the expense of the hurricane’s inner core, as discussed by Dr. Jeff Masters in a 2015 post. For a vivid exploration of how an intense hurricane and a major eruption might intersect, check out the commentary from Jeff and other experts in “What Would Happen If a Hurricane Hit an Erupting Volcano?”, written by Jim Nash and published in October in (appropriately) The Atlantic.